Adriana Zuniga-Teran is a Postdoctoral Research Associate with the Udall Center for Studies in Public Policy at the University of Arizona (UA) where she is working on Transboundary Water Security in the Arid Americas (IWSN Work Package 3). Adriana is particularly interested in urban environments and how cities provide opportunities for sustainability and increased water security including through rainwater harvesting, water conservation strategies, and using green infrastructure for stormwater management. Adriana has a background in Architecture with a Master’s in Design and Energy Conservation. Her doctoral studies are in Arid Lands Resource Sciences from the UA. For her dissertation she looked at how different neighborhood designs affect the human use of greenspace, such as through walkability, and interactions with human health and different levels of conservation support. Her research interests include water security in cities located in arid lands, the U.S.–Mexico border region, climate change adaptation, and green infrastructure as an essential element of sustainable cities. She is an Adjunct Lecturer for the Sustainable Built Environment Degree Program at the College of Architecture, Planning and Landscape Architecture at the University of Arizona. Adriana is originally from Monterrey, Mexico. She grew up in Mexico City, and did her undergraduate studies at the Monterrey Institute of Technology and Higher Education (ITESM), in Monterrey. She worked as an architect for several years in Monterrey and later in Ciudad Obregon (Sonora). She also taught different courses to architecture and graphic design students before coming to the UA to start her graduate education. 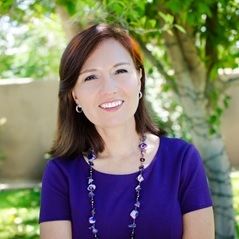 Adriana currently lives in Tucson, Arizona with three of her children. During the weekends, she likes to go hiking in Sabino Canyon (a greenspace in Tucson). She also enjoys eating out and watching movies. She loves to travel and spend time with her family.